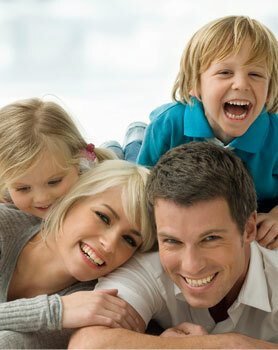 Dental implants are an effective, modern way to permanently replace one or more missing teeth. Developed and perfected throughout the last 40 years this technique produces functional, strong and aesthetically pleasing solutions to missing teeth. The procedure for installing dental implants includes the anchoring of titanium posts directly to the jawbone as titanium is safe and biocompatible, cells grow and permanently integrate with the implant forming a solid foundation for a crown to be attached. And then a crown is placed over the top to best be fitted with the remaining teeth. It is important to note that dental implants are not suitable for everyone, so we recommend that you arrange a consultation with one of our dental professionals at Broadway Dental Centre to see if you are a suitable candidate.